LaundryView® is the revolutionary web-based platform that helps students save time and money when doing laundry. Using a computer, laptop, tablet or smartphone, students gain control over laundry activities by easily avoiding busy rooms and tracking laundry cycles — saving time and money in the process! Is doing laundry a weekly nuisance for you? You’re not alone! LaundryView helps reduce the hassle of dealing with washing machines and dryers. We’ve all had the experience: you fill up a basket or bag with dirty laundry and trudge to the nearest laundry room…only to find all the machines are already in use! LaundryView allows you to easily check machine availability beforehand. Never again have to find your clean clothes on the floor of a laundry room. LaundryView makes it easy to track cycle progress using a smartphone and make sure your clean clothes stay clean! Want LaundryView for Your Property? LaundryView® has been the #1 laundry monitoring system since it was developed in 2003 and is enjoyed by more than 500,000 students on more than 330 campuses across the United States. We provide laundry operation management services to more than 80,000 apartment and multi-housing units in 44 states and the District of Columbia.  LaundryView is an Internet-of-Things solution brought to you by CSC ServiceWorks, a market leader in commercial laundry solutions. The company manages over a million machines globally, including those at more than 4,000 laundry rooms at colleges and universities around the United States. Where can I access LaundryView® from? What if I can't find my laundry room? What does "Available", "In Use", "Idle", and "Unavailable" mean? How do LaundryView alerts work? Is there a charge for alerts? Do I need to register with LaundryView to receive text alerts? Why is LaundryView not working properly for me? Will you keep my contact information private? How do I report a problem with a washer or dryer? What are the Weekly Statistics? LaundryView is a Web-based system that allows users to monitor the status of washers and dryers in connected laundry rooms from any device (computer, tablet, phone) with an internet connection. Brought to you by CSC Service Works -- a market leader in commercial laundry solutions -- LaundryView is an innovative, internet-of-things technology that helps laundry room users conduct their business more efficiently. Please visit the About LaundryView page for more information. You can access LaundryView from any computer, tablet or mobile device with internet access. You do not need to be on the campus or property where the laundry room is located. To find your laundry room, visit the LaundryView home page and search for the property or school first, and then for the specific laundry room. If you are not able to successfully find your location, it is possible that the specific laundry room you are looking for is under a different name or is not connected to the LaundryView system. Each machine reports its status to LaundryView several times per minute. Your browser display is automatically refreshed at short intervals to update machine status. A machine is "Available" if it is not currently running a cycle. "In Use" means it is running. "Idle" means that it has finished a cycle but the door has not yet been opened. "Unavailable" means that LaundryView has detected a problem with the machine, and it is either temporarily offline or needs to be repaired. LaundryView alerts can be set to notify you when a machine has finished its cycle. First, check to make sure your notification settings are accurate by tapping “Notifications” above the laundry room on mobile devices or clicking “Notification Settings” in the right menu on devices with larger screens. Update your email address or phone number and tap/click “submit”. To set an alert for a specific machine, tap (or click) on the machine you want to monitor, and then tap the notification slider in the flyout menu to set it to the “on” position. You can also use the notification sliders in the list view as well. No, there is no additional charge for text alerts, though standard text messaging rates apply. No. The LaundryView alerts functionality allows anyone with access to the system to set alerts without having to register. You may have an issue with your internet connection, or are accessing the site via an old version of web browser. Make sure your connection to the internet is successful, and you have the latest version of Microsoft Edge or Internet Explorer, Google Chrome, Mozilla Firefox, Safari, or Opera. Navigate to the laundry room where the machine resides. In the menu (mobile) or upper right hand corner of the page (computer), click on Report A Problem and navigate the form, identifying the problematic machine and its symptoms. The weekly usage report helps you avoid busy times in laundry rooms. The report illustrates laundry room usage by day and hour for the prior two weeks, so you can see trends and choose the best time to do your laundry. The works of authorship contained in the www.laundryview.com Web site (the "Web site"), including but not limited to all design, text, sound recordings, and images, are owned, except as otherwise expressly stated, by CSC Serviceworks or one of its subsidiaries, ("CSC"). Except as otherwise expressly stated herein, they may not be copied, transmitted, displayed, performed, distributed (for compensation or otherwise), licensed, altered, framed, stored for subsequent use, or otherwise used in whole or in part in any manner without CSC's prior written consent, except to the extent permitted by the Copyright Act of 1976 (17 U.S.C. § 107), as amended, and then, only with notices of CSC’s proprietary rights. "CSC", "LaundryView" and the CSC logo are trademarks of CSC ServiceWorks. Other featured words or symbols, used to identify the source of goods and services, are the trademarks of their respective owners. The information on this Web site is for information purposes only. It is believed to be reliable, but CSC does not warrant its completeness or accuracy. The information and materials contained in this World Wide Web site - and the terms and conditions of the access to and use of such information and materials - are subject to change without notice. Not all products and services are available in all geographic areas. Your eligibility for particular products and services is subject to final CSC determination and acceptance. The Web site is not intended for distribution to, or use by, any person or entity in any jurisdiction or country where such distribution or use would be contrary to local law or regulation. CSC OR ITS SUPPLIERS MAY DISCONTINUE OR MAKE CHANGES IN THE INFORMATION, PRODUCTS, OR SERVICES DESCRIBED HEREIN AT ANY TIME. ANY DATED INFORMATION IS PUBLISHED AS OF ITS DATE ONLY, AND CSC DOES NOT UNDERTAKE ANY OBLIGATION OR RESPONSIBILITY TO UPDATE OR AMEND ANY SUCH INFORMATION. CSC RESERVES THE RIGHT TO TERMINATE ANY OR ALL WEB OFFERINGS WITHOUT PRIOR NOTICE TO THE USER. FURTHERMORE, BY OFFERING INFORMATION, PRODUCTS, OR SERVICES VIA THIS WORLD WIDE WEB SITE, NO SOLICITATION IS MADE BY CSC TO ANY PERSON TO USE SUCH INFORMATION, PRODUCTS, OR SERVICES IN JURISDICTIONS WHERE THE PROVISION OF SUCH INFORMATION, PRODUCTS, OR SERVICES IS PROHIBITED BY LAW. THE WEB SITE (INCLUDING ALL INFORMATION AND MATERIALS CONTAINED ON THE WEB SITE) IS PROVIDED "AS IS" "AS AVAILABLE." CSC IS NOT PROVIDING ANY WARRANTIES AND REPRESENTATIONS REGARDING THE WEB SITE. CSC DISCLAIMS ALL WARRANTIES AND REPRESENTATIONS OF ANY KIND WITH REGARD TO THE WEB SITE, INCLUDING ANY IMPLIED WARRANTIES OF MERCHANTABILITY, NON-INFRINGEMENT OF THIRD PARTY RIGHTS, FREEDOM FROM VIRUSES OR OTHER HARMFUL CODE, OR FITNESS FOR A PARTICULAR PURPOSE. CSC DOES NOT WARRANT THE ACCURACY, ADEQUACY, OR COMPLETENESS OF THE INFORMATION AND MATERIALS CONTAINED ON THE WEB SITE AND EXPRESSLY DISCLAIMS LIABILITY FOR ERRORS OR OMISSIONS IN THE MATERIALS AND INFORMATION. NOTHING HEREIN SHALL BE CONSTRUED AS LIMITING OR REDUCING CSC’s RESPONSIBILITIES AND OBLIGATIONS TO CLIENTS IN ACCORDANCE WITH APPLICABLE LAWS AND REGULATIONS. UNDER NO CIRCUMSTANCES WILL CSC BE LIABLE FOR ANY CONSEQUENTIAL, INCIDENTAL, SPECIAL, PUNITIVE, OR EXEMPLARY DAMAGES ARISING OUT OF ANY USE OF OR INABILITY TO USE THE WEB SITE OR ANY PORTION THEREOF, REGARDLESS OF WHETHER CSC HAS BEEN APPRISED OF THE LIKELIHOOD OF SUCH DAMAGES OCCURRING AND REGARDLESS OF THE FORM OF ACTION, WHETHER IN CONTRACT, WARRANTY, TORT (INCLUDING NEGLIGENCE), STRICT LIABILITY, OR OTHERWISE. Links to non-CSC Web sites are provided solely as pointers to information on topics that may be useful to users of the CSC Web sites, and CSC has no control over the content on such non-CSC Web sites. If you choose to link to a Web site not controlled by CSC, CSC makes no warranties, either express or implied, concerning the content of such site, including the accuracy, completeness, reliability, or suitability thereof for any particular purpose, nor does CSC warrant that such site or content is free from any claims of copyright, trademark, or other infringement of the rights of third parties or that such site or content is devoid of viruses or other contamination. CSC does not guarantee the authenticity of documents on the Internet. Links to non-CSC sites do not imply any endorsement of or responsibility for the opinions, ideas, products, information, or services offered at such sites, or any representation regarding the content at such sites. The CSC ServiceWorks family offer unbeatable options for laundry centers nationwide. Our technology, service, competitive revenue sharing and Energy Star® equipment options are improving profitability and resident satisfaction for locations we service. We serve approximately 88,000 apartment and multi-housing laundry communities in 44 states and the District of Columbia. Our programs are proven to increase revenues and resident satisfaction, while delivering savings on water and electricity costs.  Our representatives have years of experience planning, implementing and supporting laundry operations for unique industry needs. It’s all about maximizing income, ensuring customer satisfaction, and putting your laundry center in a position to grow and prosper. We support the on-premise laundry programs of countless businesses and institutions across America. Our durable commercial laundry equipment and wide range of services will make your program a success. We can help in designing a new laundry facility, renovating an existing one, setting up and installing your equipment – all while providing the fast, reliable service you need to keep things running smoothly. The user's access to and use of the Web site, and the terms of this disclaimer are governed by the laws of the State of New York. At CSC ServiceWorks, your privacy is a top priority. The information requested here will only be used to provide LaundryView notifications to you as you request them. If you check the box labeled "I'd like to receive special offers and promotions on laundry related products and services" we may send you offers and promotions from time to time. You will be able to cancel this arrangement. CSC will not sell your information to third parties. CSC will only transfer your information to third-parties for the specific purpose of providing the notifications, special offers or promotions you have requested. We will conduct appropriate due diligence to ensure any such third party provider or subcontractor has appropriate safeguards in place to maintain your privacy.